Andalucia is an excellent destination for a golfing break or holiday, with over 100 golf courses in Andalucia. The Hotels are of a very high standard, with all the facilities you'd expect, considering their prime location. There is a clubhouse close at hand, with a shop selling the latest high-tech equipment, fashions and accessories, golf pros on hand, a bar and everything you need for a great golfing holiday. Facilities which your hotel will include are a swimming pool, whether indoor, outdoor or both and gym, equally useful whether you want to burn some serious calories or take a little gentle exercise; afterwards, let your muscles relax and be soothed in the sauna or Jacuzzi; then take time out to relax in the gardens. 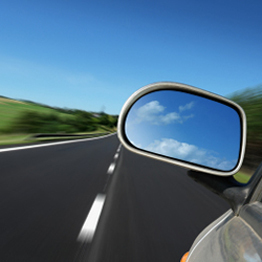 Hotels that are located within a short walk or buggy ride from the hotel to the Golf Club house. This luxury hotel and spa, with its own Finca Cortesin championship golf course, is a 5-minute drive from Bahía de Casares Beach. Villa Padierna Palace Hotel offers rooms and villas surrounded by beautiful gardens and All have views over the Los Flamingos golf and Gran Flamingo courses, pool or gardens. 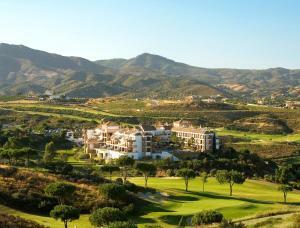 NH Almenara Hotel is adjacent to Almenara Golf club house with 27-hole golf course. Guests have free access to all golf facilities, spa and beach club. Situated on Mijas los Lagos golf, this is a privileged location for golf lovers and is only 5 minutes from the Fuengirola town and beach. This hotel has direct access to San Pedro Beach and the 18-hole Campo Sur de Guadalmina Golf Course. This hotel boasts the 36-hole Guadalmina Golf Club and a seasonal outdoor pool. Rooms at the Marbella are spacious and have terraces overlooking the golf course. 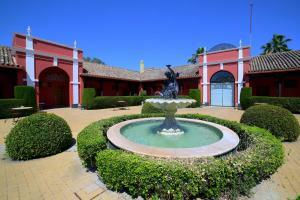 Luxurious hotel is set next to the 18 hole Montenmedio Golf Course. The hotel is set on a large estate, with wildlife and exotic plants. The MNAC Contemporary Art Museum is also based on-site. Restaurant offers traditional Andalucian dishes. Less than ten minutes from Malaga Airport, this luxury hotel blends great golfing with an authentic Andalusian feel and fantastic sea views. It sits beside its own magnificent and historic 18-hole golf Parador de Malaga golf course and has a magnificent outdoor swimming pool. Perfect for a golfing holiday, as it is located on both the North and south 18-hole El Rompido golf courses with spectacular views, Precise Resort El Rompido has a peaceful setting and offers a spa and an outdoor pool. It has bright, attractive rooms with balconies. This 4-star hotel is located on the Antequera golf 18-hole course. A 10-minute walk from the historical town of Antequera and offers guests well-appointed rooms, a spa, indoor and outdoor swimming pools. Hotel Isla Canela Golf features Isla Canela golf course and an outdoor swimming pool. It has traditional Andalusian design with a striking colourful façade and modern décor rooms with balconies. Thebussem Restaurant serves Mediterranean and international dishes. Café, which serves a continental breakfast, and a tapas bar with a terrace. Islantilla Golf Resort is an exclusive complex within the Islantilla Golf Course, just 4 minutes' drive from Islantilla Beach. Free internet, 4 restaurants, a spa and seasonal outdoor pool. During the summer there is a Miniclub for children. Westin La Quinta Golf Resort & Spa has a spa, 27-hole La Quinta golf course, free 24-hour gym and 3 swimming pools surrounded by gardens. Free WiFi. 3 restaurants serve Mediterranean, Andalusian and Japanese cuisine. Spa includes a therapeutic pool with underwater jets, Mediterranean sauna, aromatic steam bath, Hammam, and hydromassage showers. 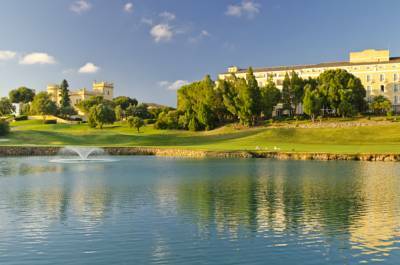 La Cala Resort features the three La Cala golf courses named Asia, Europa, America and swimming pools and a luxurious spa. The air-conditioned rooms have views over the golf courses. Satellite TV and free Wi-Fi. Restaurant, serving international and local cuisine. There is also a clubhouse and a lobby bar. The hotel sits on the 18-hole Rio real golf course, and has spa and outdoor swimming pool. Rooms are stylishly decorated and feature balcony with views of golf course. Other facilities include tennis courts, terraces, club house and restaurant. Golf increases in popularity year on year. An ideal combination of the mild climate, with year-round fine weather and sunshine, and beautiful locations, whether seaside or inland, makes Andalucia the favourite golfing holiday destination for many people. In fact, the Costa del Sol is the most popular golf destination for European golfers, and is increasingly known as the Costa del Golf. It boasts a staggering 40 courses within 100 km, many of which are in and around the glamorous resort of Marbella. Other areas of Andalucia which are well supplied with golf courses are the Costa de la Luz and the Costa Almeria. Many people who come to Andalucia for a golfing holiday like to stay in a Hotel on or near the golf course, to minimise transport hassle when you set off from your room for a round of golf. You may even be able to rent a golf buggy to take you directly to the course, saving you even more time. And, of course, having your accommodation next to the golf course means you can make the most of the stunning, peaceful views of the beautifully maintained lush green fairways and, if you're on a links course, of the sea.